One of the common concerns for new cb radio owners is whether they really need to buy a cb antenna or if they can use their car radio antenna. The problem is that cb antennas can add extra cost to your budget. In addition, installation might require you to drill additional holes on your car’s body. If these are two concerns you have right now, the good news is that you can use your car radio antenna to transmit and receive cb radio signals. However, you’ll need to invest in an am/fm cb splitter as well as go through the process of measuring signal strength using an SWR meter. Besides the added cost and installation requirements, another disadvantage of cb radio antennas is they can easily attract burglars. However, cb radio antennas have two advantages over the car radio antennas. First, they are designed for both transmitting and receiving cb signals. Car radio antennas are designed for receiving only. Second, cb radio antennas will transmit and receive signals over a wider range. In essence you should consider using your am/fm antenna for cb if you’re not really interested in getting maximum transmission range. Assuming your am/fm antenna is in place you’ll need to access the antenna cable running from it to the radio. You won’t require any special tools to set up your installation. The reason for this is that your cb radio and splitter will usually come with the necessary mounting hardware. All you might need is a screwdriver and possibly a wrench to mount the cb and splitter. The splitter basically receives incoming signals and delegates them between the two output ports (am/fm and cb radio). Your first step will be mounting the cb radio in your car. Make sure that you have enough cable to connect it to your splitter when you finally mount it. Next, detach the antenna cable from the back of your am/fm radio. Connect it to your splitter (most splitters will indicate where the antenna cable goes). At the other end of the splitter, you’ll find two female connectors, one for your am/fm radio and the other for your cb radio. Connect your cb radio first and make the necessary SWR adjustments. It’s worth noting that some splitters claim to automatically make the SWR adjustments. However, it’s always recommended that you make these adjustments manually on your cb or with an SWR meter. Once you’ve completed tuning your cb, your next step will involve connecting your am/fm radio to the splitter. Turn it on and scan the am/fm channels to make sure that everything is working ok before permanently mounting your cb, radio and splitter. Using your am/fm antenna for your cb radio is both economical and practical. 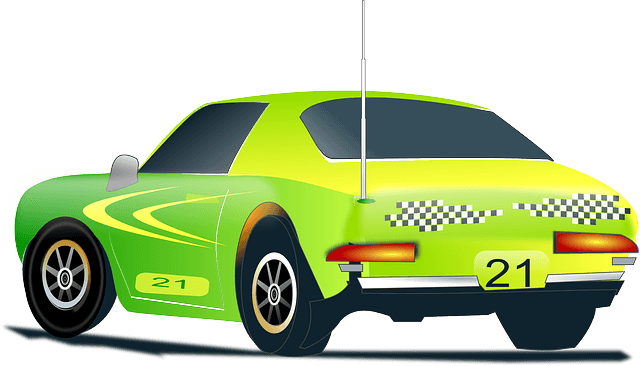 Although your car antenna is designed to receive signals, adding a splitter and making the necessary SWR adjustments are what’s necessary to make it work with a cb radio. However, it’s worth noting that the signal range won’t be as wide as what you’d get when using a CB radio antenna. I did all this now my truck radio won’t work. The mic was keyed and the radio stopped working.